Descargue el comunicado de prensa en español aquí (PDF). 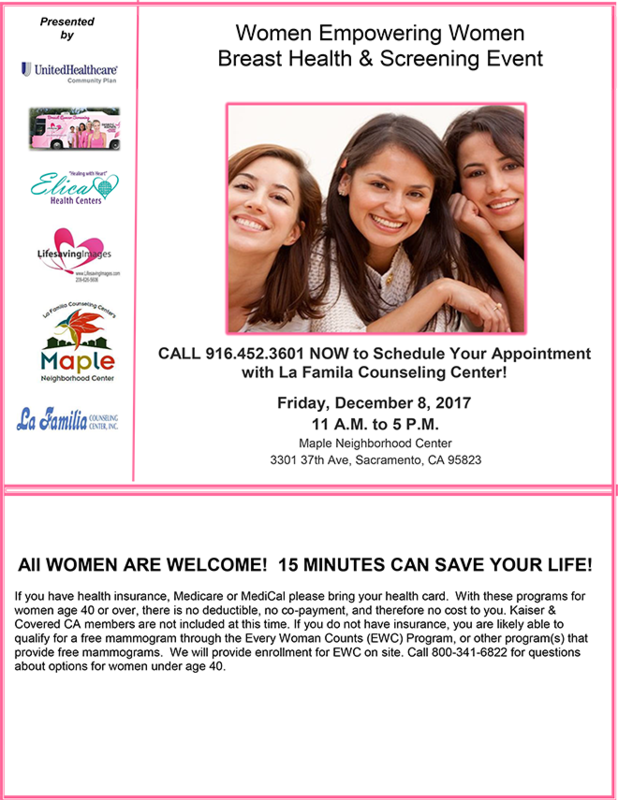 WHO: Susan G. Komen ® Northern and Central California and Life Saving Images are teaming up to provide breast health and screening services with Maple Neighborhood Center, United Healthcare, Elica Health Centers, and La Familia. 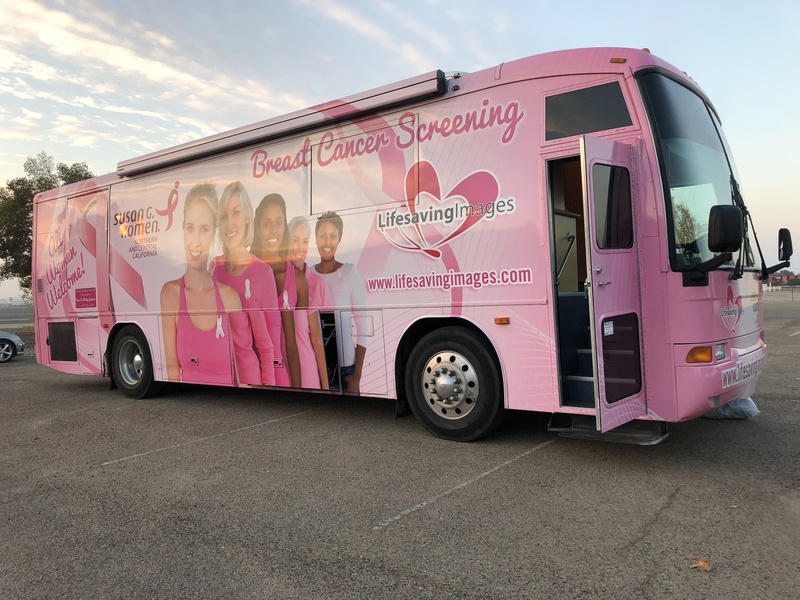 WHAT: Komen Affiliate partner, Life Saving Images (LSI), provider of mobile mammography, will have their mobile coach on-site and provide information for women who may be eligible for no-cost mammograms on December 8 or other screening events. LSI is a California-based radiology company that is certified by the U.S. Food and Drug Administration, the American College of Radiology, and the State of California. If you have health insurance, Medicare or MediCal please bring your health card. With these programs for women age 40 or over, there is no deductible, no co-payment, and therefore no cost to you. Kaiser & Covered CA members are not included at this time. 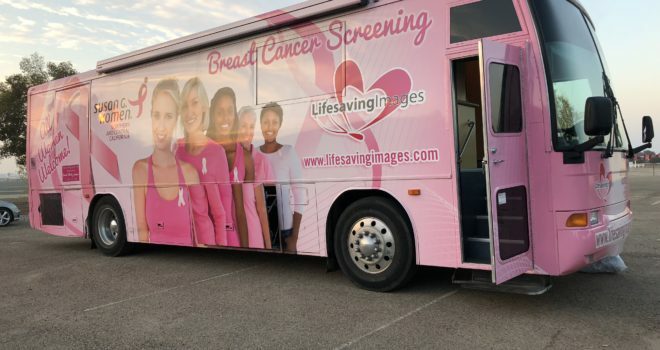 If you do not have insurance, you are likely able to qualify for a free mammogram through the Every Woman Counts (EWC) Program, or other program(s) that provide free mammograms. We will provide enrollment for EWC on site. Call 800-341-6822 for questions about options for women under age 40. WHEN: Friday, December 8th, 2017 from 11 am to 5 pm.